Dubai is the state of Abu-Dhabi and is considered as one of the best and prospered state in the world. 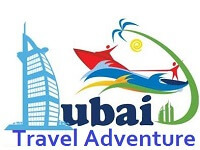 It is developed and due to its many reasons like tourism, law enforcement, jobs related opportunities it attracts many people towards itself and most people like to visit Dubai maybe once in a life or more than once. Dubai has maintained its glory and a few decades later it is underdeveloped, but it is one of the most hot-spot in the world, due to the modernization in Dubai it has exciting hotels, desert, beach, tourism and it has the one of the tallest building of the world “Burj Khalifa” and man-made “Palm Island”. But regarding these delights, it has very strong law policies and if people even foreigners aren’t allowed to break them and if they do break intentionally or unintentionally, they face strict action against them and suffer fine and maybe send to jail. So, when people go towards Dubai, they must follow the rules, better is to study the rules so that you don’t get troubled. 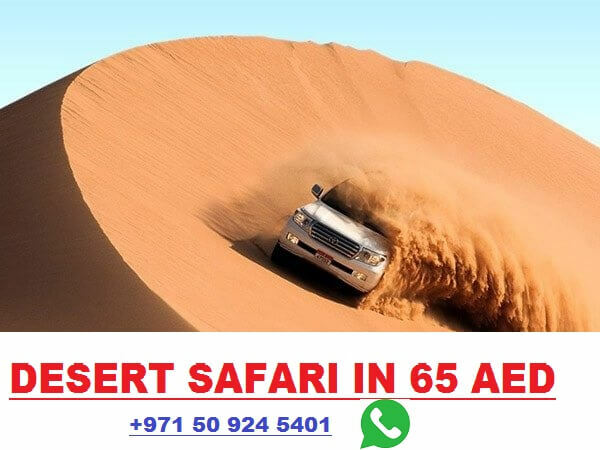 Dubai has very fascinating desert adventures to enjoy and Dubai is very hospitable and welcomes every new person to their country. Clothing: Dubai is an Islamic state and it is advised to wear reasonable and decent clothes and short clothing is not allowed in public areas and reveal sensitive body parts. Men and women both follow the values the place and give respect. However, the veil is not mandatory for women. If laws violated, then legal action will be strict. Loose clothing helps you to cool in deserted countries in order to maintain air passage. Drugs, Alcohol, and weapons: Any type of drugs products which are harmful to the body and any attempt of smuggling, is not allowed and strictly prohibited and they have very advanced and intelligent technology at airports to scan full body and luggage and this act is illegal in Dubai as well as throughout the world. Anti-narcotics department is fully active, and you may deport, fined maybe jail up to years on the intensity of the crime committed. Carrying weapons is not allowed because it increases the chances of danger in public and it also comes in the light of human rights violation. Use of alcoholic drinks during driving and in public areas is and you are not allowed to buy alcohol and cigarettes except for stores who have the permit and in simple words, tourists aren’t allowed to buy any type of alcohol. Only special places are allowed for consuming alcohol and in public it is illegal to do any type of bad activities. Photography: Photographs are the best way to capture beautiful memories and they become part of the entire life. You can take a snap of yourself and your accompanying friend but to take snaps of women and the person you don’t know is strictly not allowed and it is against the law and you may face cybercrime action. Music: Most people like music and often listen to it but be patient loud music is not allowed in public if loud. If you want to listen, then use your headphones or loud music allowed at special places. Ramadhan Respect: Muslims fast during Ramadhan whole month and it is not considered to eat in public anything and water from sunrise to sunset. Weekend: As you are familiar that weekend starts on Saturday and Sunday but in Dubai weekend starts from Thursday and ends on Friday. Sunday is a working day. Language: Bad language, abusive words, vulgar language is not allowed even to say, ‘swear by God is not allowed’ and you face legal action from police. Work Policy: During the visit visa, it is illegal to do any type of work because if you want to work then you should have a working visa called “Iqama”. You will be fined and face strict action against this act. Dancing: Dancing is considered bad in public but allowed in places like clubs, private places or designated places. Respect: In Arab countries, women have special respect because she is a mother, wife, sister, daughter and most importantly she is a woman. According to Islam, women should treat nicely and decent manner. Veil: It is not mandatory for women to wear a veil. It is up to choose that a woman wants to wear or not. Driving: Women can drive a car, but the license card is mandatory for driving it ensures the safety of people and healthy city. Dressing: Women aren’t allowed to wear very short clothes in public that are indecent, but these restrictions are relaxed at designated places like swimming etc. Women should wear clothes that are below knees and shoulder covered. Harassment Policy: Dubai has a strict law against women harassment and provides safety to women and whoever violates the law he will face strict action. Working women: Despite having the responsibilities of household work Dubai also gives women the right to work and she freely work there according to the rules. Modernization gives women more rights. Unlike other countries, Arab has strict rules for the unmarried couple due to the restriction from their religion. Non-Islamic countries don’t consider it bad if couple leaving without marriage. But in Muslim countries, it is considered illegal by law and by Divine authority. So, they develop their laws to handle this type of bad activity. Living in one room: Dubai doesn’t allow couples of opposite genders to live without marriage in one room because it is considered illegal. If married, then no restrictions will apply regarding this. Relation: Unmarried couple isn’t allowed to develop any kind of deep relation with the opposite gender and you absolutely face strict action for this act. Public behavior: Couples aren’t allowed to do any type of adult or private act in public even if married and face strict action in order to spread inappropriateness in society. It is against Social Ethics.